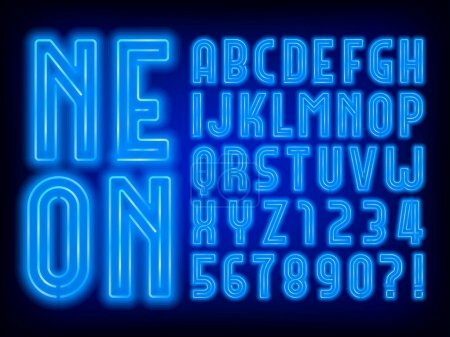 Фотобанк Rusmediabank – лицензионные Фото, Видео, Музыка - Blue neon alphabet font. Retro light bulb uppercase letters and numbers. Stock vector typeface for your typography design. XL 6667 x 5000px 15 Mb.